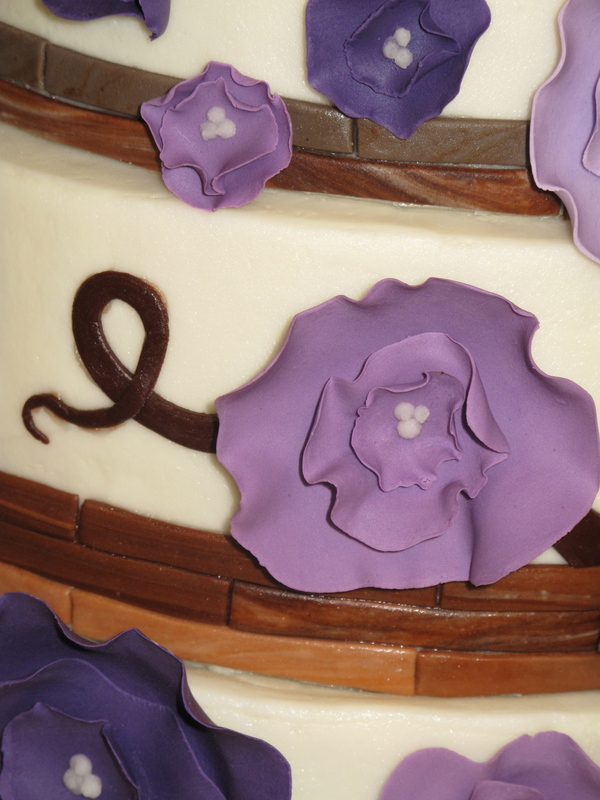 I’m finally getting another cake up on the blog! Goodness, time goes by so fast. I made this cake in June for my cousin’s wedding. We came up with the idea by combining a few different ones we liked. I think my favorite thing about this cake is the alternating single/double layers. I also really like the borders….those took a little longer than I expected but I really like the way they turned out. 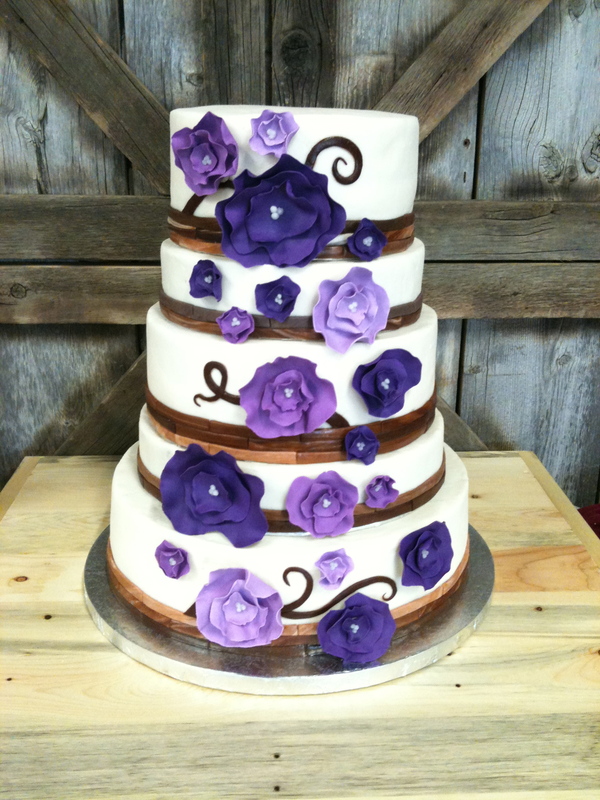 MrsCakes, this is a gorgeous cake! The cake has a “natural” feel to it. You do amazing work, keep it up!